The perfect on-the-go powerhouse for any application. Regardless of where you take this compact amp, it'll pound out the sound at any level. 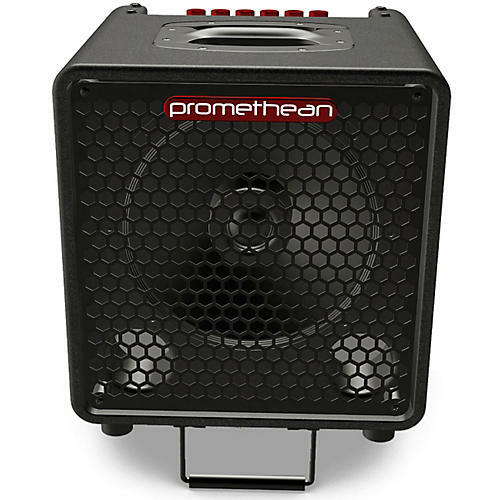 With output power up to 300W, Promethean bass combo amps pack a huge sound along with their smaller, made-for-travel size. It's 300W of muscle in one lightweight package. Designed for working musicians, the newly redesigned P3110 is the perfect fit for traveling from venue to venue. This Class-D amp offers more than just reliability. A new powerful output and new selected functions make it easier to adjust during live performances. If you're on stage, you need a dependable workhorse of an amp. The Promethean is a mini thoroughbred. Pick it up and start playing today.